Especially in the last few decades, hearing aid technology has absolutely exploded. No matter what your hearing profile, lifestyle, personal style preferences and budget – there will be a hearing aids that meets your needs. While this expansion of technology and plethora of choice is fantastic, it can also make researching and choosing a hearing aid feel a bit overwhelming. Once you partner with All Ear Doctors, we will work with you every step of the way to help you make the best decision for your hearing health and needs. Although we will be there to guide you, it is helpful to understand some hearing aid basics before getting the process started. 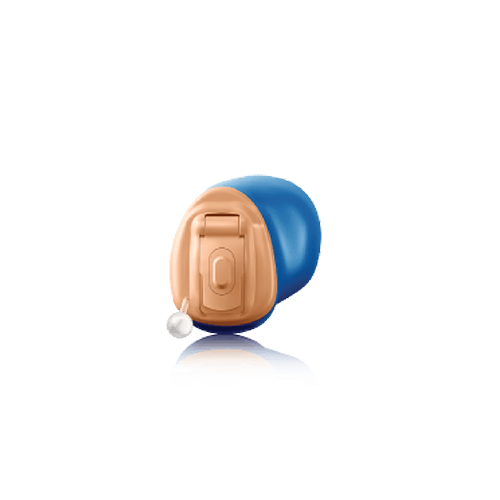 Most hearing aid manufacturers use the same three or four letter acronym to describe a hearing aid’s style. The style of you hearing aid does not refer to its technology or features, rather the way the hearing aid looks and feels. Invisible-In-Canal hearing aids are custom molded to fit all the way inside your ear canal. For most people, these end up being completely undetectable to others. Completely-In-Canal hearing aids are similar to IIC styles in that they are custom molded and fit completely within your ear canal. The key difference is this style typically includes a tiny handle that does out of the ear canal for easy removal. 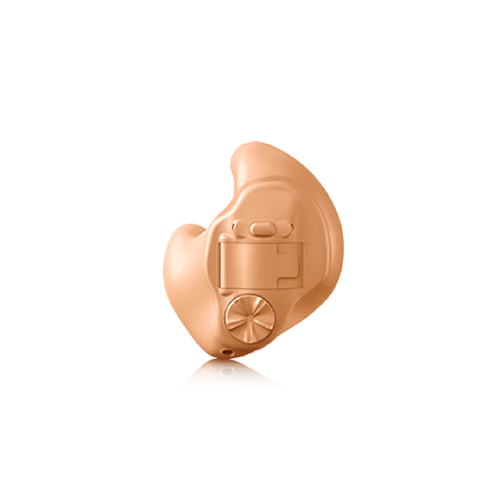 In-The-Canal hearing aids fit into the ear canal, however, a portion of the hearing aid sits within the outer ear and is discreet, however visible. 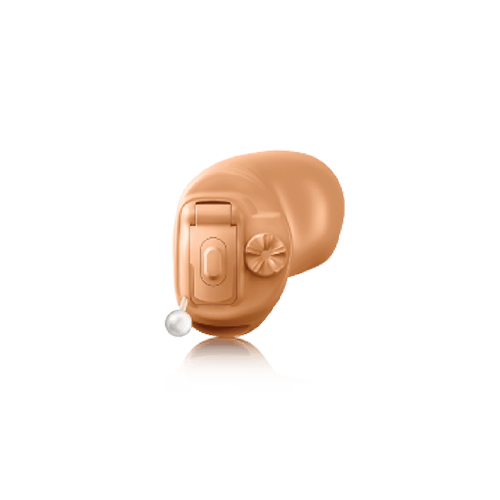 In-The-Ear styles are also custom molded, however the majority of the hearing aid will sit within the outer ear of the wearer. A small portion of the hearing aid will fit within the ear canal. Receiver-In-Canal hearing aids house their technology in an apparatus that sits behind the outer ear. A very thin and discreet metal wire connects this casing to the receiver (typically an ear bud) that fits within the ear canal. 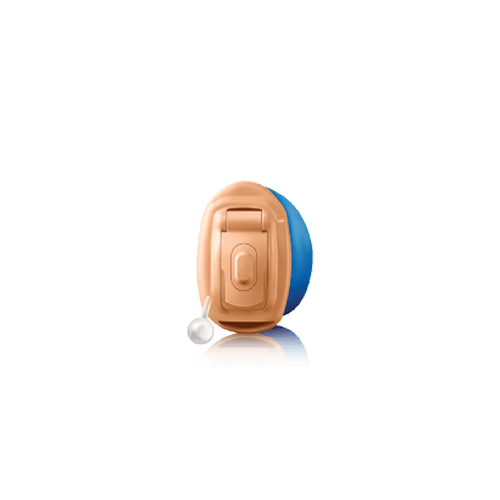 Behind-The-Ear style hearing aids are very similar to RIC models. The notable difference between the two is that BTE styles employ a plastic tubing to connect the technology to the receiver that sits in the ear canal. As mentioned above, the style of hearing aid has little to do with the technology and features it provides. In fact, most manufacturers introduce “families” or “series” of hearing aids, where the same name (and features) are shared across the spectrum of styles. There is a vast amount of technologies and features of modern-day technology. 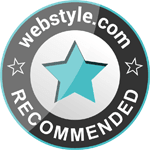 We’ve outlined a few of the most universal and sought-after features and technologies here. Every modern hearing aid includes some type of technology that was created to help improve speech understanding for people with hearing loss. These technologies are the same in that their goal is to make conversing with others – even in noisy environments – easier and more enjoyable. Manufacturers differ in the technology they create to accomplish this goal. Most manufacturers have patented their technology and many have hosted independent studies to measure their effectiveness against their competitors. Many people with hearing loss also experience tinnitus, an annoying ringing or buzzing in one or both of your ears. To help combat this issue, many manufacturers have included tinnitus therapy technologies that work to mask the sounds. Many people seek hearing aids that are able to stream music or conversations from their smartphone or TV to their hearing aids. This is possible through many avenues. Some manufacturers offer special connectivity devices to stream, others employ Bluetooth technology, and some are able to stream directly to the hearing aids without any additional technology or devices. 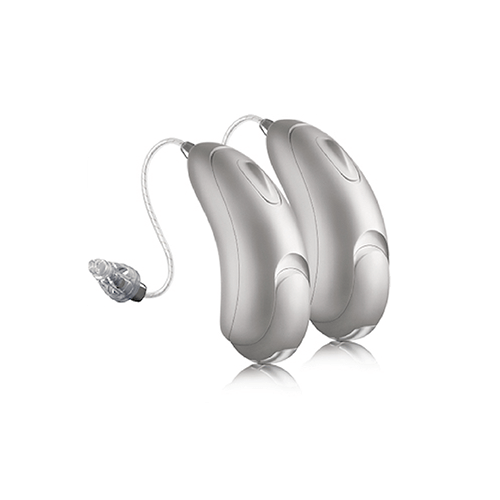 In recent years, the popularity of rechargeable hearing aids has grown substantially. Most manufacturers offer at least one if not more options for rechargeable hearing aids. Just like your cell phone or your laptop, these hearing aids charge while you sleep and allow for a full day of operation. At All Ear Doctors, we are proud to partner with the industry leading manufacturers of hearing aids. 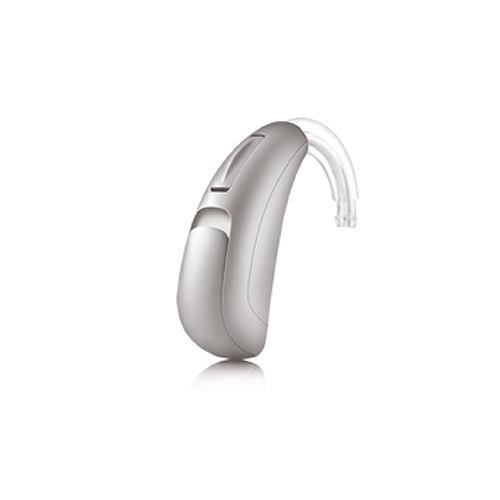 These manufacturers include: Oticon, Unitron, Widex and ReSound.